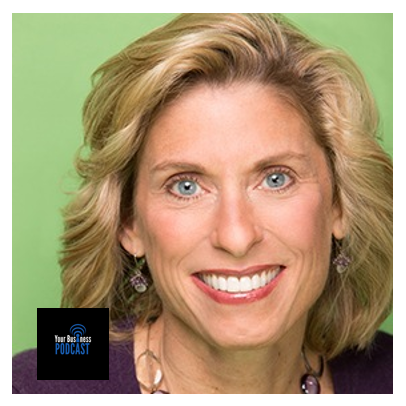 In this week’s podcast, I had a great conversation with Kate Hagerty, a career, life purpose, intuitive and relationship coach. We met at Toast Masters and known each other for several years. Kate used to work in the corporate world for 30 years – in sales, marketing and advertising – making her way up the ladder and on the verge of making it to top of the play field, she realized that she needed something more from life. Below are some of the great points during our conversation. Turning point – being unhappy and just didn’t care about the results. Kate began to ask herself some powerful questions about what she really want to do with her life – she was miserable and unhappy and she didn’t want to continue having to deal with that. Most people not really clear about their purpose. Growing up, she had an intuitive gift but ignored it. Working with people once didn’t really get anywhere. It’s smart to start paying attention to your intuition. Turn off the ‘chatter’ part of the brain to focus more on the more important things. When you step out of the house in the morning, pay attention – there are lots of interesting things happening around. What you look for, you can find. “Miracle Morning” – focus on what thought and see where that leads you. We are so hard on ourselves and expect we are going to be good at meditation the first time we try it – some people need guided meditation, some need silence or music. It’s a challenge. It’s a process. Kate got very unhappy in 2011 and tried different coaching certifications – to figure out herself and help her clients. Do you want your health or do you want your benefits? You can be an empathic person but if you haven’t gone through something and suddenly meet someone who has, you can’t really completely understand. Even though it’s scary, it is worthy in the end because it’s exciting – you are doing what you’re supposed to do. Tell the truth without being mean. You’re usually the average of the 5 people you spend your time with. Are we supportive of each other? Do we support and learn from one another? Don’t be around toxic people. Just because they’re family doesn’t mean you have to be around them. Accountability partners are key to being successful for some people. For a ‘solopreneur’ – you got to have an array of people to help you out. Delegate the things you hate to do so you can focus on the things you love.